Congratulations - you have completed CGFNS Practice Test. You scored %%SCORE%% out of %%TOTAL%%. 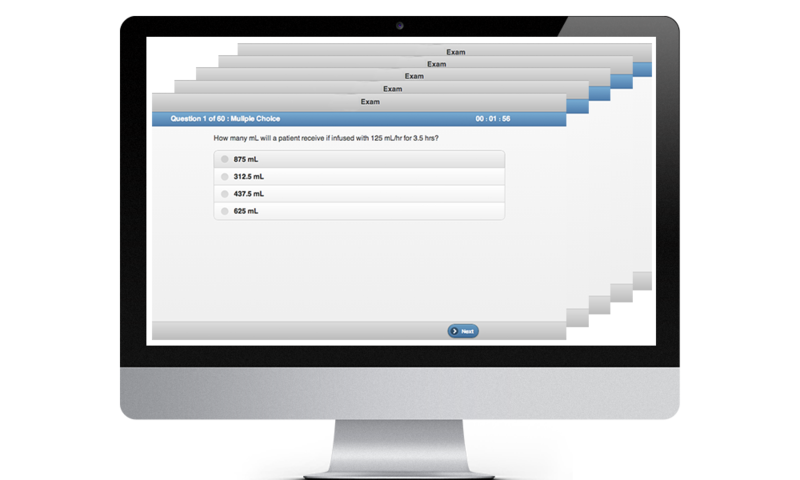 Unlimited CGFNS practice tests available with our subscription! The client has an elevated blood glucose level, suggesting the patient is experiencing hyperglycemia. The nurse should notify the physician, slow the infusion rate, administer insulin as prescribed, and monitor blood glucose levels. A nurse is instructing a group of school children on Lyme disease prevention prior to an outdoor nature lesson. Which of the following statements by a student indicates that the student has not been listening? The student stating that, "I should wear a t-shirt and shorts" was not listening, because proper attire should cover skin to prevent bites. Other responses indicate proper prevention techniques, including using bug repellent, staying out of tall grass, and wearing a hat. A client has been provided an order for Bupropion (Wellbutrin). When should the nurse administer the order? Bupropion (Wellbutrin) should be administered once a day, early in the day, in an amount according to the prescription. Maximum dosage of 400 mg per day. Which of the following is the priority assessment in the client being treated for acute congestive heart failure with bumetanide (Bumex) intravenously? Bumetanide (Bumex) is used for to treat mild and moderate hypertension in patients with congestive heart failure. The nurse should monitor that Bumetanide is having a therapeutic effect by lowering blood pressure. Which of the following is not a potential source of acquired immunity? Vitamins cannot result in immunity. Acquired immunity can come from animal serum, antibodies received in response to disease, and antibodies received from the mother. Interpersonal psychotherapy focuses on the therapist-client relationship to modify a client's feelings, attitude, and behaviors. During the preinteraction phase the nurse should explore personal ideas, stereotypes, and biases that my affect the nurse-client relationship. An understanding of personal values and how they may factor into the nurse-client relationship is essential for success in later stages. Activated partial thromboplastin time is used by the nurse to assess the therapeutic effect of Heparin. Heparin on average increases a patient's activated partial thromboplastin time by 1.5 to 2 times the time without Heparin, where the average value is 25-30 seconds. Before restructuring the nursing assignment process, the nursing manager seeks formal input from every nurse before making a decision. This is an example of which leadership style? Democratic leadership, also called participative leadership, is where members of the group take a participative role in the decision-making process. Under this leadership style, group members are encouraged to share ideas and opinions, even though the leader retains final say over decisions. Side effects of procainamide (Procanbid) include severe dizziness, fainting, and low blood pressure. The nurse should first check the blood pressure of the client to ensure that it has not dropped to a dangerous level. Other side effects of procainamide (Procanbid) include fever, sore throat, sore mouth, infection, wheezing, chest pain, usual bruising, dark urine, and hallucinations. Your CGFNS practice test will be graded instantly, allowing you to immediately identify areas that need improvement. 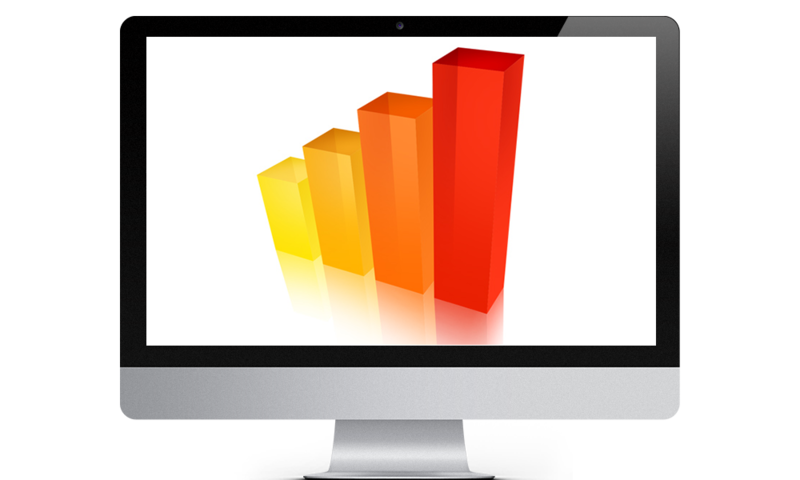 Our tracking system will let you track your progress over time so you can see improvement and know when you are ready for the real CGFNS test. Sign up today! MedPreps is a leading test preparation company that creates high quality study materials for a number of medical certification exams. MedPreps is committed to providing the best and most convenient medical accreditation preparation material on the web and on mobile devices. Try one of our free practice tests or download one of our mobile applications and join the thousands of medical professionals MedPreps has helped earn their certification. MedPreps gives you a comprehensive practice program at an affordable price. MedPreps lets you study at your own pace, offering all tools 24/7 online. MedPreps gives you feedback, reporting and the ability to target your weak areas, so you aren’t just studying the same things over and over. MedPreps guarantees that if you pass their program, you’ll pass your test. Take an unlimited number of medical certification practice tests and focus quizzes and never see the same test twice. Our state of the art quiz platform generates a brand new exam from our database of questions written by expert medical professionals and instructors. Get 24/7 access to our medical certification full length practice tests and focus quizzes from any mobile device. With MedPreps, you will have a comprehensive practice program that lets you study at your own pace with access to our online tools anytime and anywhere. MedPreps is committed to your success. 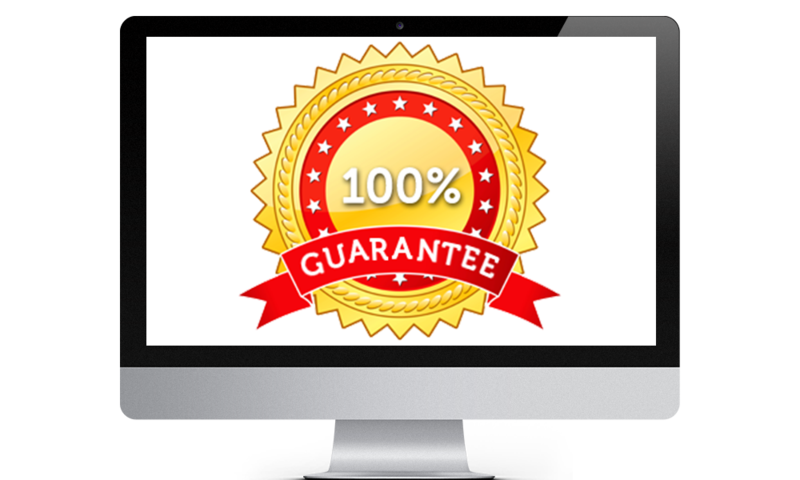 We stand behind our comprehensive study program with our 100% pass guarantee. If you do not pass your exam after fully preparing yourself with our practice test program, we will extend your subscription for the length of your original purchase so that you can better prepare yourself.